Not to rag too much on The Revenant, but there was another man-vs.-primeval-wilderness movie that came out last year that had a more complex lead role, or at least a lead performance that mattered more. This would be Jauja, a droll frontier Western set and shot in Argentina, which is also where some parts of The Revenant were filmed. And because I’m apparently in the business of comparing Alejandro González Iñárritu’s presumptive multi-nominee to other, better movies, I can’t help but point out that Jauja was also filmed almost entirely outdoors and that it also depicts the violent encroachment of white settlers into indigenous lands, and that, like The Revenant, it has mystical overtones of transformation and allegory and that its main character is, like The Revenant’s Hugh Glass, a widower who has come to the frontier for work and has brought his teenage child with him. This is Captain Gunnar Dinesen, a Danish military engineer played with a lot of nuance by Viggo Mortensen. Mortensen, a Danish-American raised partly in Argentina, is the only actor who could play Dinesen. (Compare that to Leonardo DiCaprio, certain to get an Best Actor nomination for playing Hugh Glass, a role that could be better served by any number of actors, including DiCaprio’s own co-star in The Revenant, Tom Hardy.) But despite his behind-the-scenes involvement with Jauja (as producer, composer, and even subtitle proofreader), the movie doesn’t come across as a Mortensen vanity project. Maybe that’s because Mortensen, an actor with an amazing instinct for subtlety and believability, is incapable of coming across as vain. Or perhaps it’s because Jauja is such an offbeat, singular vision, being both a refinement and a clarification of its director’s pet themes of alienation and creation myth. Make no mistake: This is a movie only Lisandro Alonso could make, but it also couldn’t be realized without Mortensen, whose characterization of Dinesen is as essential to the whole as the landscape and the period setting. Because they evolved out of a tradition that valued directors chiefly as individual artists, art films and underground movies—basically, anything that falls into the umbrella category of “you’re not your getting money back” filmmaking—are all too rarely discussed in terms of acting. And, sure, part of that has to do with their storied tradition of affectless performance, and the fact that the audience for so-called “festival fare” has, over decades, come to expect bad, flat acting as a trade-off of different ambitions. At the same time, this is also where you’ll find the most interdependence between style and star. That covers everything from Taiwanese filmmaker Tsai Ming-liang’s long-running collaboration with the stone-faced Lee Kang-sheng and Pedro Costa’s work with former bricklayer Ventura in Colossal Youth and Horse Money to the no-budget mumblecore chamber pieces Joe Swanberg seemed to make every other week in the early 2010s. Or, to cite a striking recent example, Joshua Burge’s turn as a paranoid Midwestern loser named Marty Jackitansky in Joel Potrykus’ Buzzard. (Just to bring it back around: Burge is in The Revenant.) These are movies that are never going to get nominated for Oscars. But even in the hypothetical situation where titles like Jauja and Buzzard—which feature two of the year’s best lead performances, and also two of the most pathetic—would be in the running, one can’t help but recognize that their relationship to acting as a component of a movie is at odds with the Hollywood norm. The old joke about the Oscars is the “Best” of any category really means “Most,” and there’s a long tradition with leads, especially male leads, being rewarded for putting a lot of strenuous physical effort into a role. But let’s suppose that film acting is something more than just acting in front of a camera. The Revenant—which I actually kind of like, even though I can’t resist bringing it up as a Goofus example—would be more or less the same with a different or a less committed performance, or even a different main character. 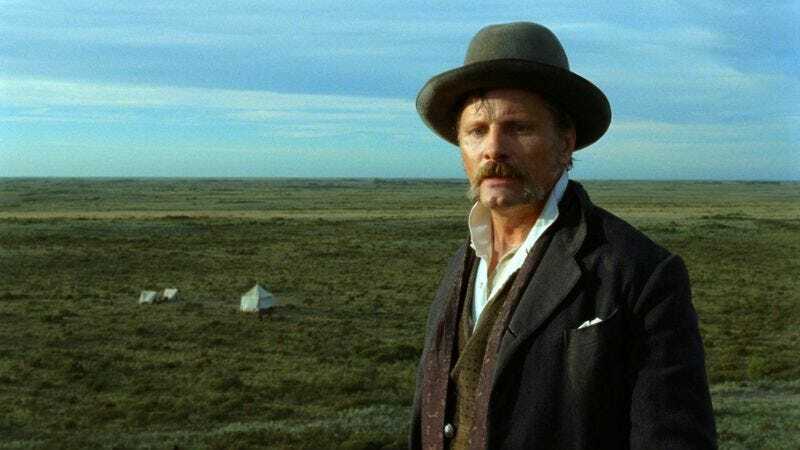 But in a movie like Jauja, where the meaning of any given shot is directly dependent on Mortensen’s subtle looks of exasperation and isolation, there is an interchange between movie and performance. Mortensen isn’t just acting on screen; he is the film, even if the film isn’t his. And perhaps this is just a thought experiment, but shouldn’t we value that more?